We love pulled chicken at the Three Dogs BBQ house. It is something different and just a bit healthier for you than pork or beef. 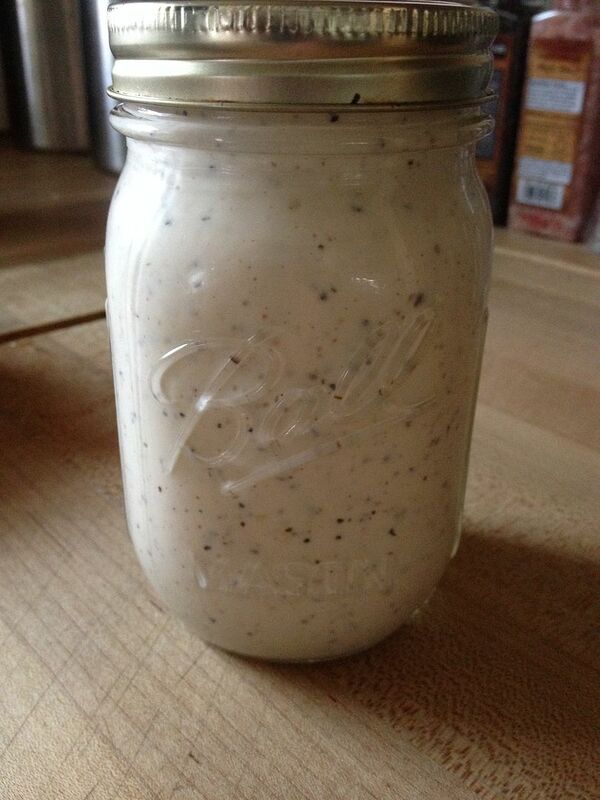 Usually, when we make pulled chicken, we also make an Alabama White BBQ sauce. This is a mayo passed sauce that is sweet and sour and compliments chicken well. I like this sauce so much that I also put it on pork as well. For this cook, I prepared a batch of my standard poultry brine and chilled the brine overnight. 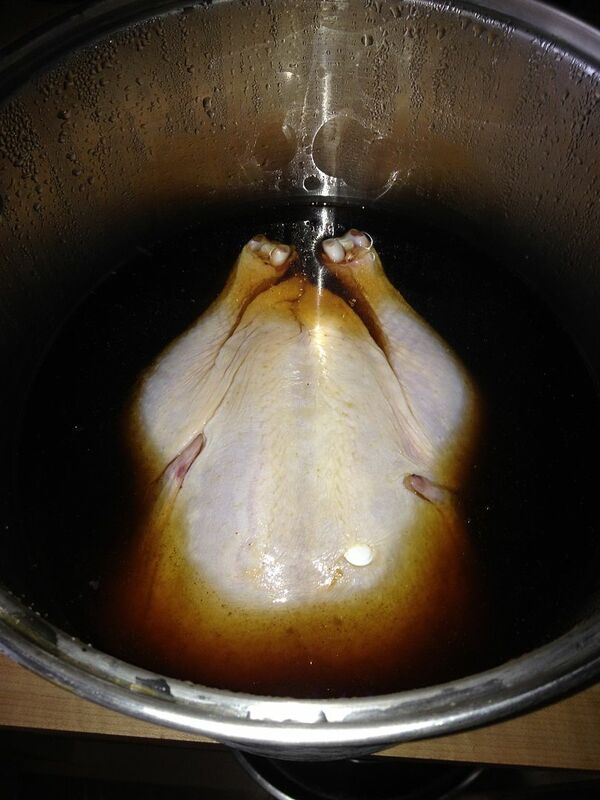 Then, the next day, I placed a whole roasting chicken in the brine and allowed it to go for a 24 hour swim. The next day, I lit my smoker and brought the smoker to 325 F. While the smoker was heating, I removed the chicken from the brine and discarded the brine. Then, I rinsed the bird well and patted dry. 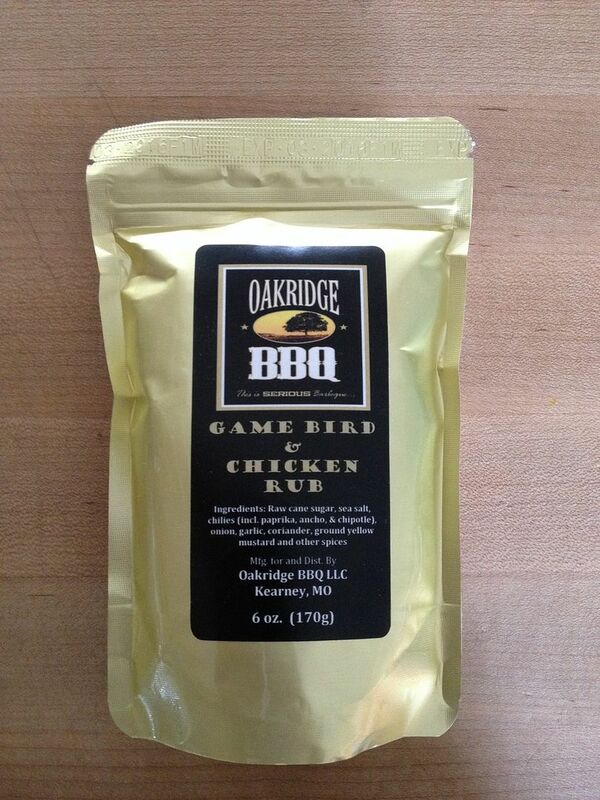 For a rub, I used Oakridge Game Bird and Chicken Rub. This rub is outstanding. The coriander adds a flavor that just pairs well with chicken. When I am ready to rub, be sure to gently pull the skin back and apply seasoning between the skin and meat. I also season the cavity of the bird as well. For the skin, rub the outside with olive oil, then apply my rub. 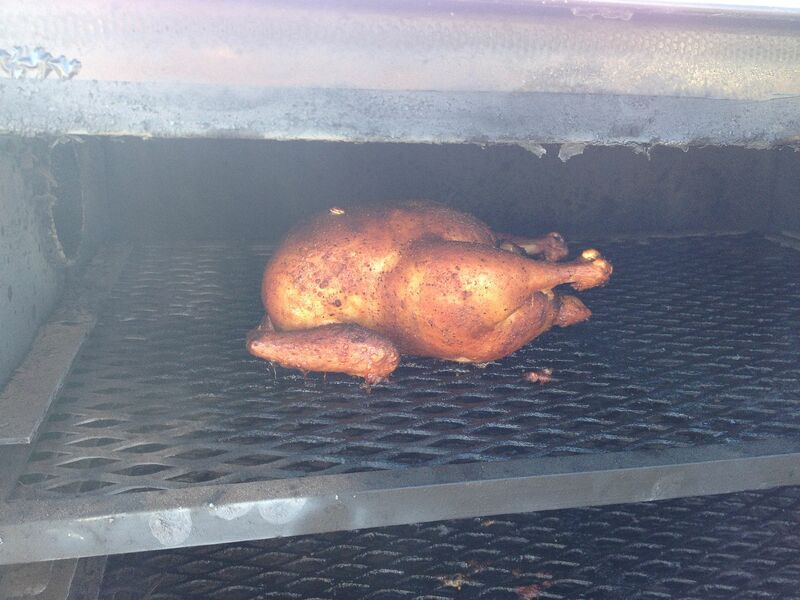 Just before placing the bird on the smoker, I added some pecan splits to the ash pan for smoke flavor. 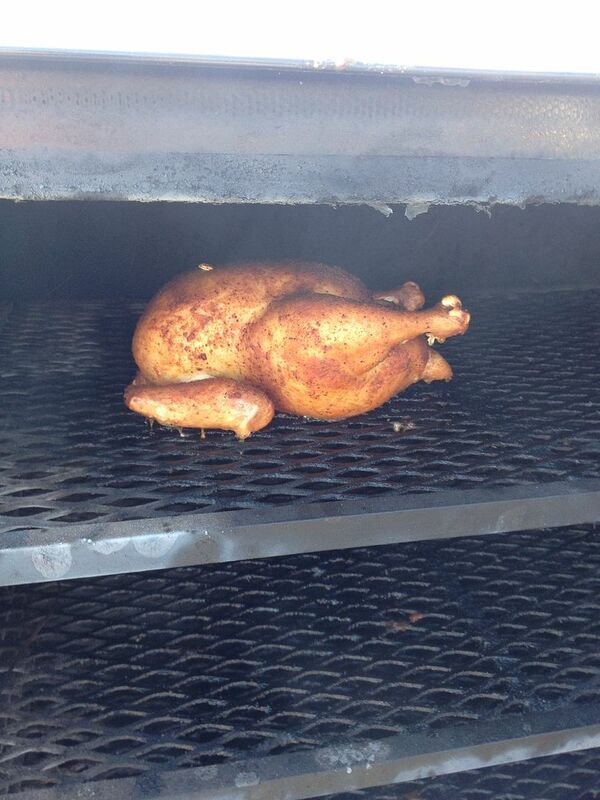 Then, I placed the chicken on the top rack of the smoker. Here are some pictures after one and two hours. 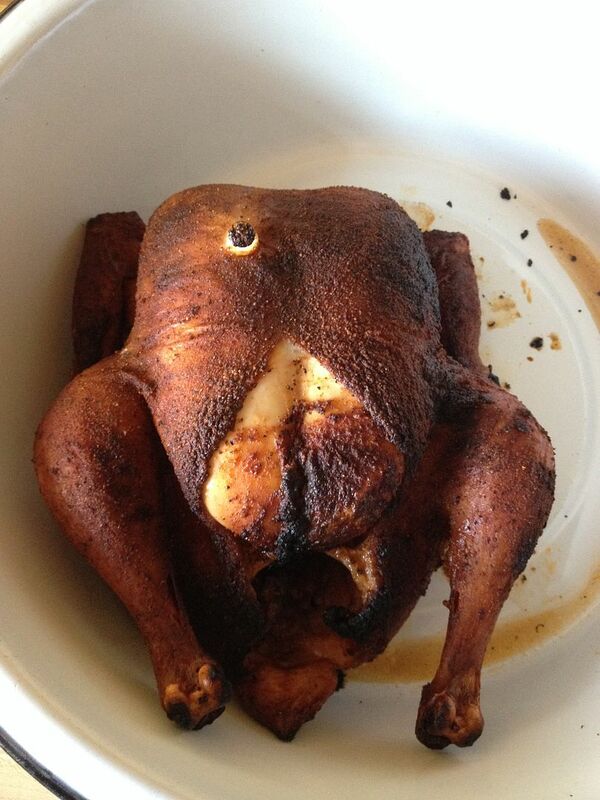 Once the timer popped and the internal temperature was above 165 F, I removed from the smoker, placed in a pan, covered with foil, and let the bird rest for 30 minutes. 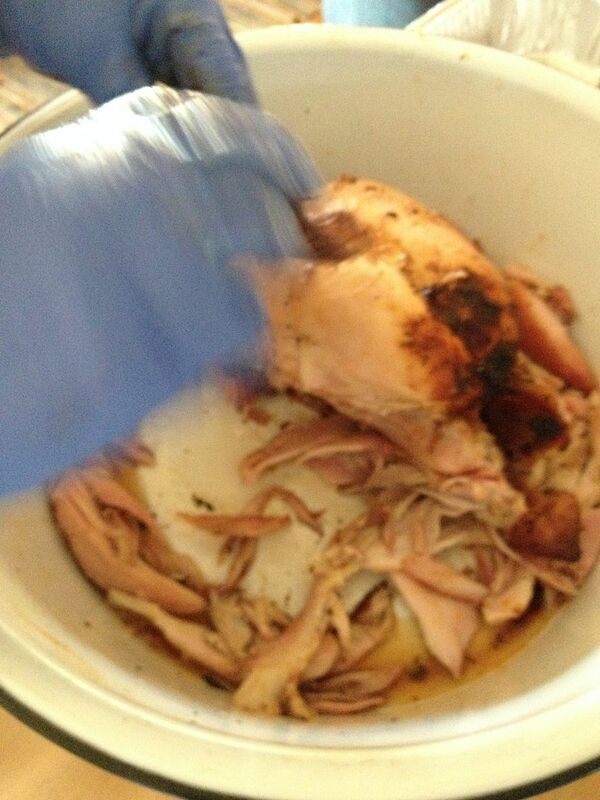 Then, Hope meticulously pulled the meat from the bone, mixing white and dark meat together. 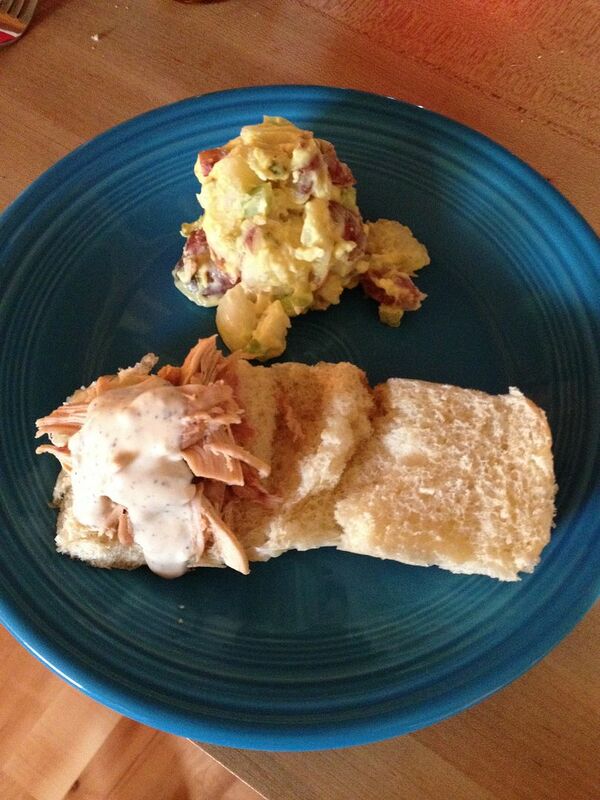 Then, we served on some nice slider buns with some potato salad on the side. I do not mix the sauce into the pulled chicken. I just add a little dollop on top of my chicken. This combination is outstanding. I have read that you can grill your chicken and brush the Alabama White Sauce onto your chicken during the last 15-20 minutes of cooking. I want to try this method the next time I make some. A friend of mine also uses this sauce as a salad dressing and loves the flavor it brings to his greens. So, give this combination a try. Especially if you are tired of the usual sweet, traditional red BBQ sauce. It is a nice change of pace Gus. I think you'll like it.